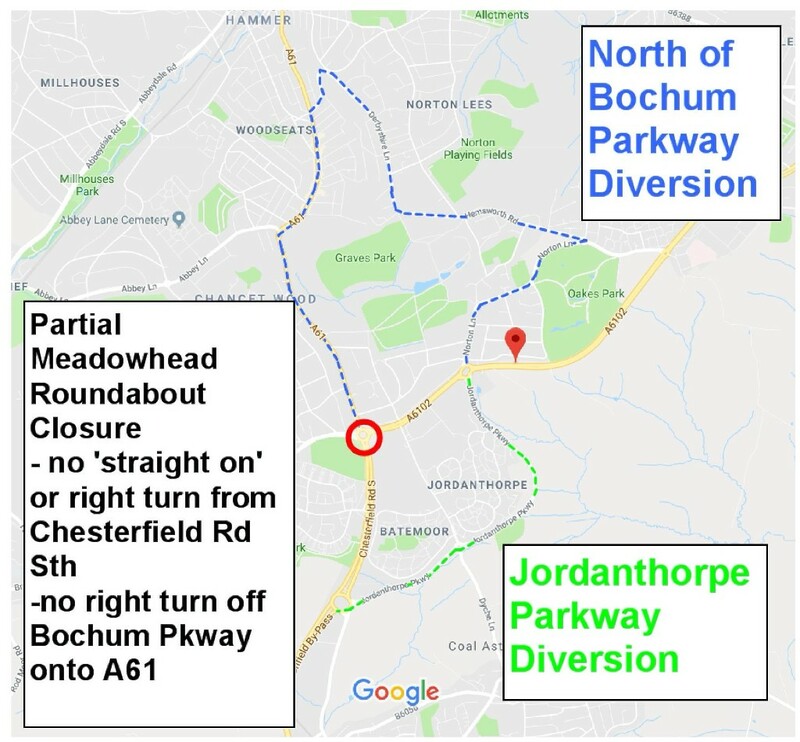 Full night time closures on Bochum Parkway and Meadowhead Roundabout as from Monday 8th January for 2 to 3 weeks. 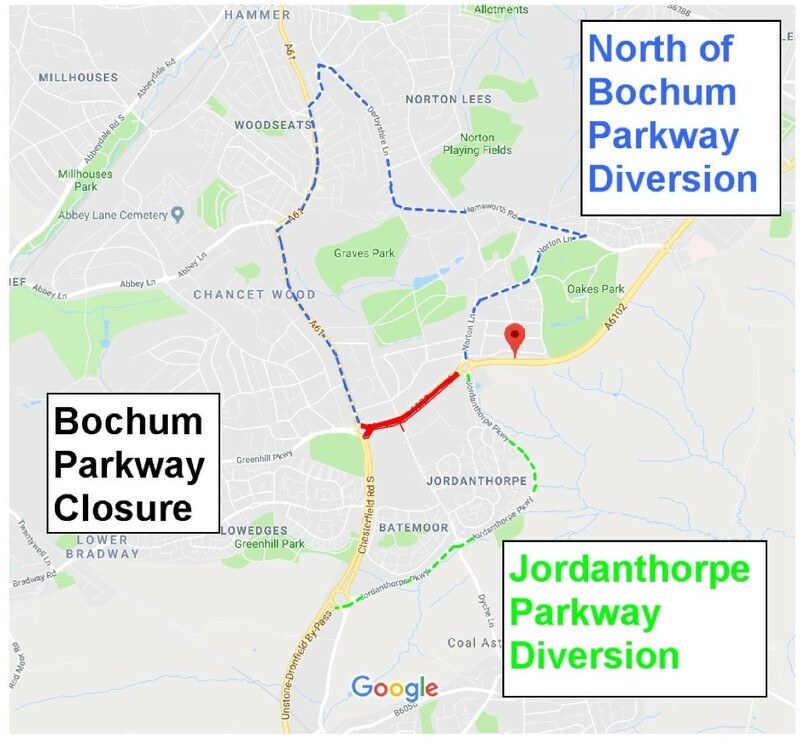 Commencing Monday evening 8th January 2018 the final tarmacing of Bochum Parkway will take place. The areas that have been impacted by the road works are to be resurfaced and have new road markings. This will take place during a series of nights (7pm - 7am) from 8th January 2018 when we will need to completely close Bochum Parkway. Fully signposted road diversions will be in place. The night time closures will be in place for 2 to 3 weeks depending on whether the temperatures remain above freezing. Provision will be made to ensure that customers and employees can access and leave the Graves Health and Sports Centre, St George's Park Football Centre and the Audi Dealership until closing times. Please follow the signs indicating the agreed diversion routes. The routes are illustrated below for your prior information.